As a glasses-wearer since the age of five, I’m well versed in the process of shopping for new glasses. But that doesn’t mean I’ve been doing it right in all that time! I tend to play it safe and never quite manage to find those statement specs I secretly crave. As for the latest styles and fashionable colours – these always seems to pass me by. Sound familiar? 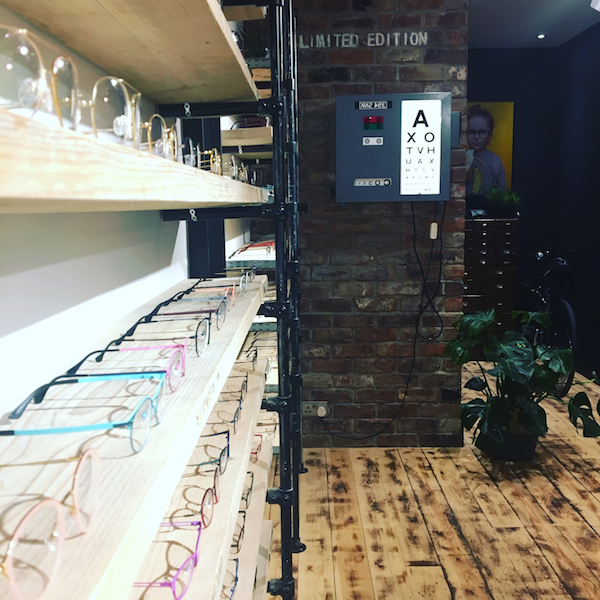 I decided to enlist the expertise of Tim Harwood, owner of independent Newcastle opticians OP & TOM, to get the lowdown on choosing new frames that are flattering, stylish and a little bit different, and to find out more about this season’s upcoming trends. Get ready for some specs-tacular advice! First things first, can you tell us a little about OP & TOM? We opened in October 2017 and chose High Bridge in Newcastle city centre as it has such an eclectic mix of independent shops and restaurants. It is also (in our opinion) the prettiest street in Newcastle with character and charm in abundance. The ethos of OP & TOM is cool and quirky with a relaxed, pretence-free vibe. 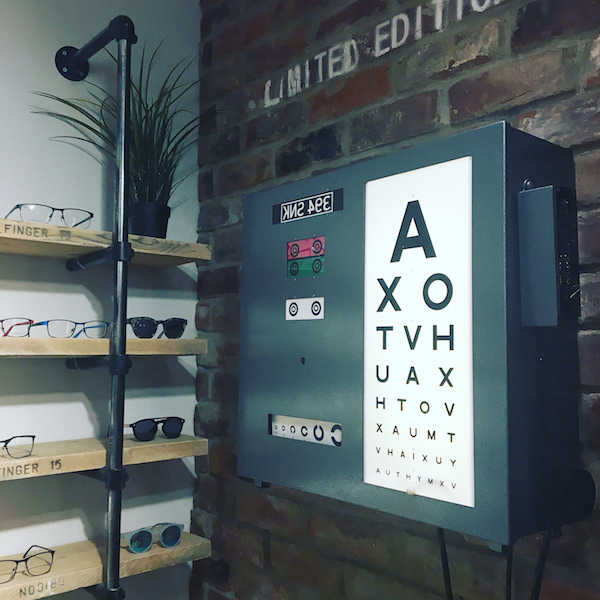 We want people to feel they can come in to shop, have fun trying on different frames and enjoy the experience. If you leave the shop feeling happy then we have done what we set out to do. The interior styling is raw, industrial, minimal with a bit of Scandinavian cool thrown in. The open space and original wooden floor gives the shop a relaxed welcoming feel and that’s what we hope people experience when they come in. 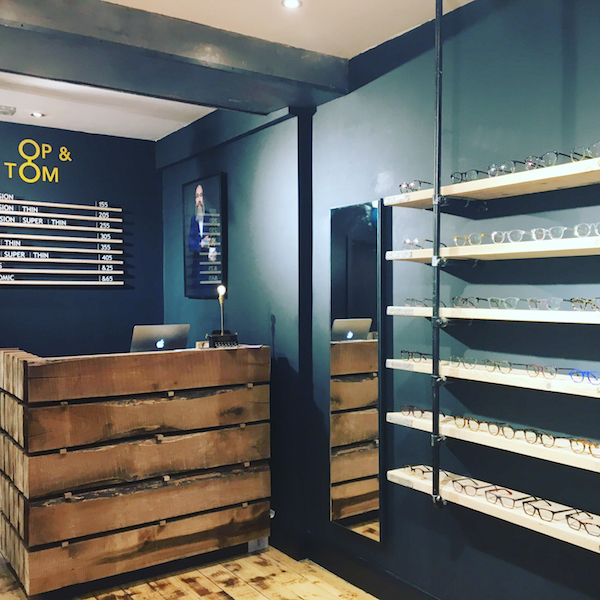 As an independent opticians, what makes OP & TOM different? 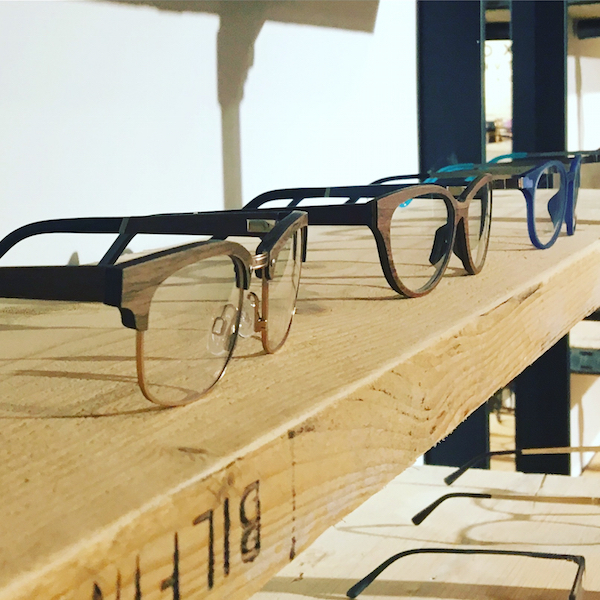 At OP & TOM we aim to curate a range of glasses that are interesting, well made and affordable. 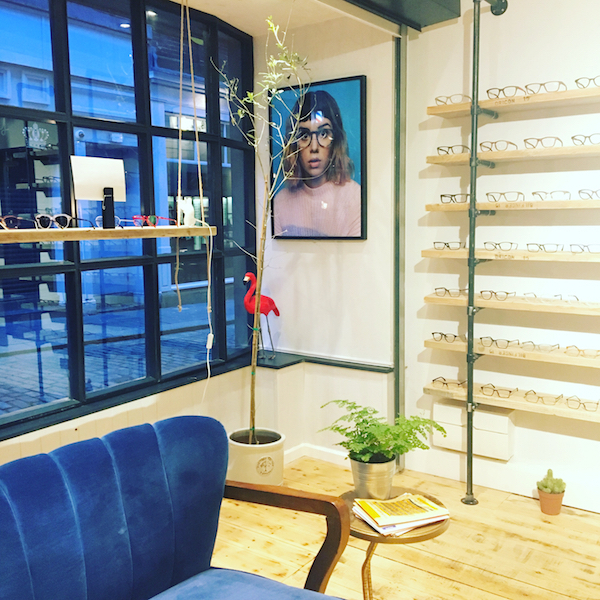 We believe fashionable glasses should be achievable for everyone not just the select few, and we attend frame shows around Europe to ensure when it comes to the latest trends we are always on point. We also believe in letting people know the price at the start not the end. All our frames are the same price and they all come with anti-reflection lenses as standard. 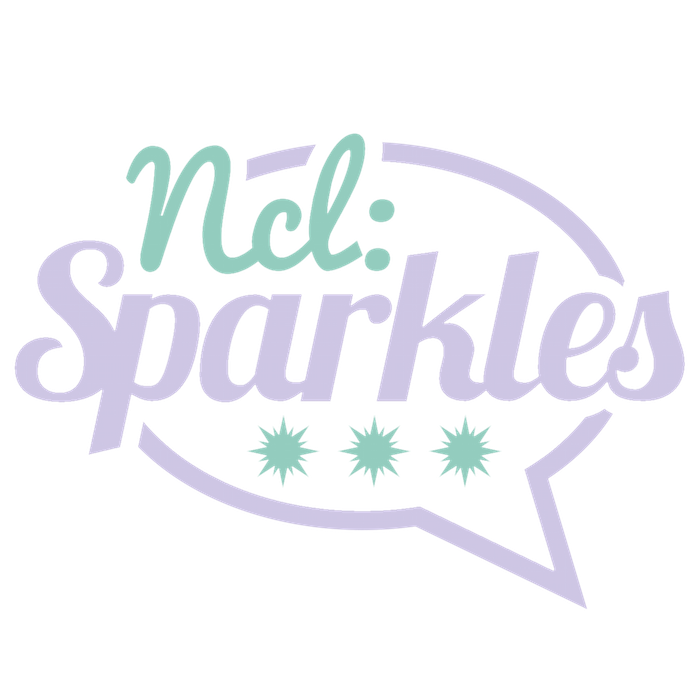 This means there are no awkward chats after your eye test where we offer you expensive up grades and add-ons. 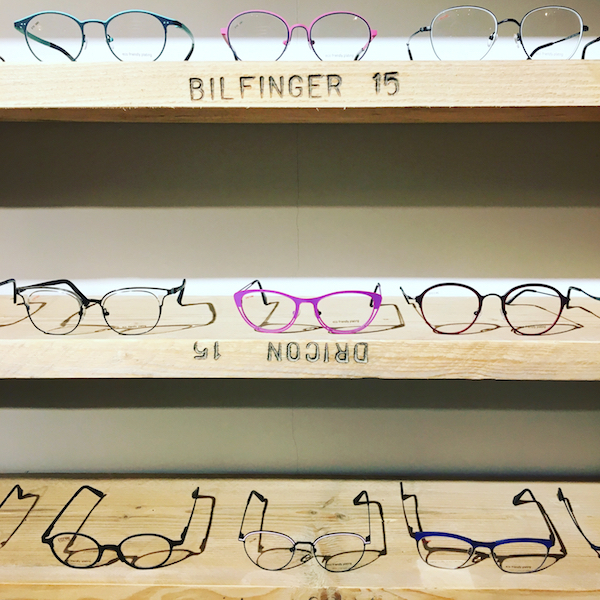 When it comes to shopping for new glasses, what are your top tips? 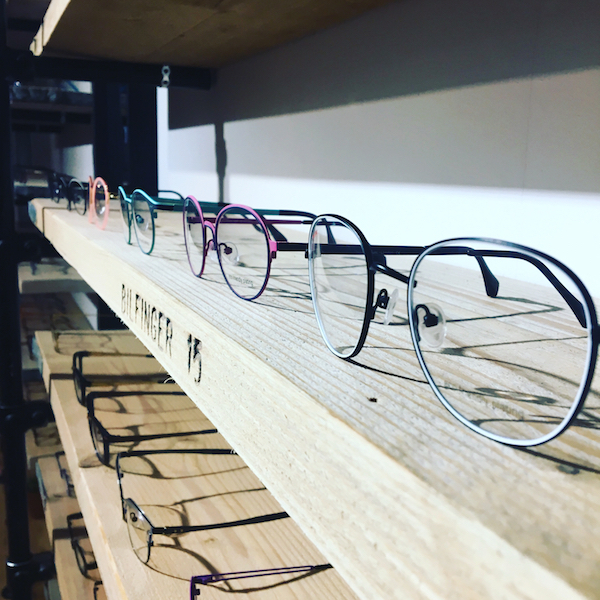 The number one tip when it comes to choosing new glasses is try as on as many as possible. It’s often surprising which glasses suit people, so we encourage everyone not to be shy! Coming with a friend can be a mixed blessing, especially if you have had a particular shape of glasses for years. People often don’t like change and assume the shape that they have been wearing for the past 10 years is the best shape for them. Sometimes it is, but this is not always the case! 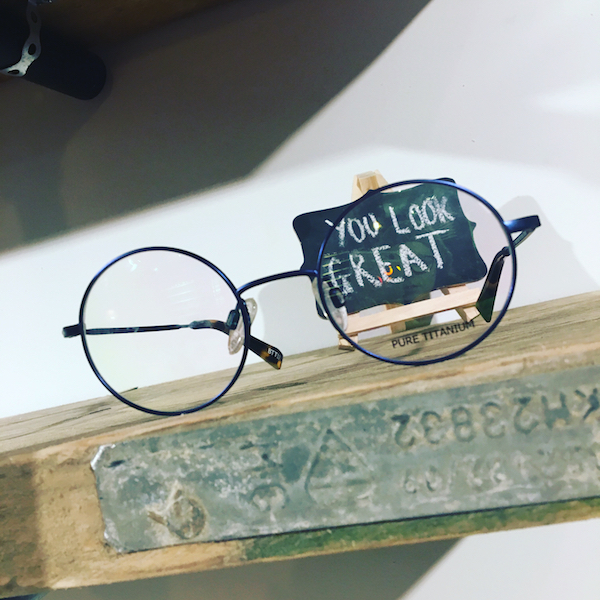 My advice would be, trust one of the OP & TOM team – remember it’s our job to make you look fantastic in your new glasses! Which styles suit different face shapes? In terms of face shapes, we find this often confuses rather than helps! The best approach is to try on three or four different shaped glasses and see which ones look best. How important are eyes, complexion and hair when choosing new frames? This is very important. People with dark hair and complexions tend to look great in all colours, especially darker frames. You have to be a little more careful with fairer complexions though as certain coloured frames can ‘wash’ people out. But there is no substitute to trying them on and seeing what works. Anything else to consider when choosing specs? Lifestyle is obviously important when it comes to choosing glasses. 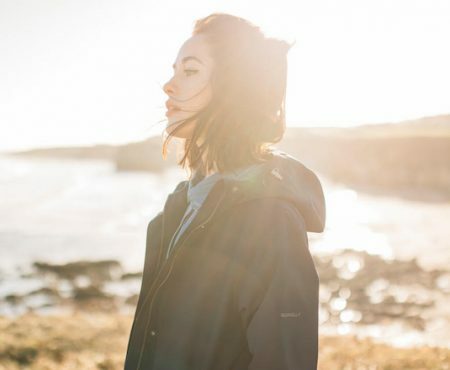 For example, someone who spends a lot of time on or near water would find polarized sunglasses beneficial as they reduce the glare reflecting off the water. Your occupation is naturally a factor too. People working on a computer, for example, would benefit from anti-reflection coatings and this is something we give all our customers as standard. Also, the impression you’re trying to give when wearing glasses is important. Do you want your glasses to jump out and grab people, or are you going for an understated sophisticated look? 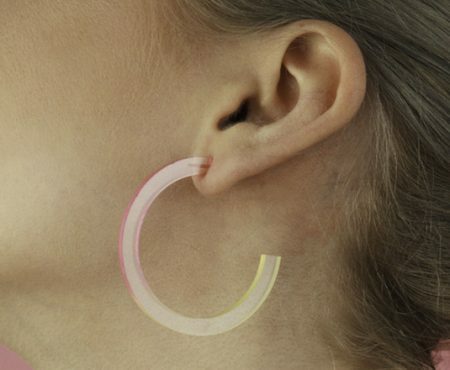 What’s the secret to carrying off something more daring? You have to love the glasses you choose. The worst thing you can do is buy a pair of glasses you feel self-conscious in, as you will never wear them. Money permitting, what some people do is have a crazy pair for the weekend and something slightly more conforming for during the week. How are runways influencing eyewear trends? 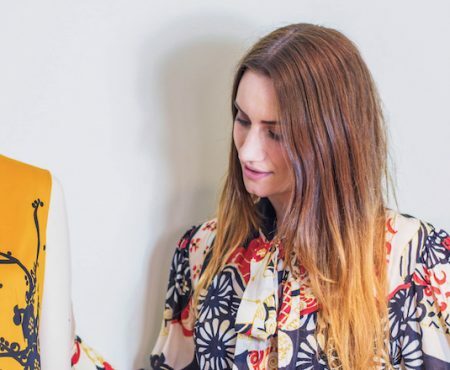 Big, bold and vintage is currently being paraded up and down the runways. As is simple, small metal frames sported by the likes of Thomas Shelby from Peaky Blinders. And lastly, what key trends can specs wearers look out for this spring & summer? Expect to see a lot of oversized bold cat-eye styles as well as oversized round sunglasses. Basically, anything bold and chunky is currently in. At the opposite end of the scale simple metal round sunglasses are also going to be popular. Tints are tending to be a little lighter meaning you can see your eyes behind the tints. Graduated tints and coloured tints are also going to be popular.